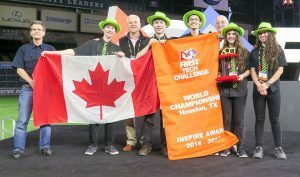 We’re FIX IT 3491, a robotics team in the FIRST® Tech Challenge competition. Our team formed in 2009 to compete in the Hot Shots! game. 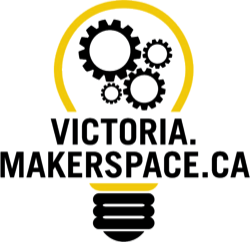 We are based out of Victoria, British Columbia, Canada. Our team has been lucky enough to attend competitions all over the world, from China to Australia and the FIRST Championships in St. Louis and Houston. Usually, however, our year takes us to Washington State, British Columbia, and Alberta. Besides being lots of fun, these trips are where we do much of our planning and strategizing for the next competition. In the Velocity Vortex season, we’re proud to say that, due to our efforts, British Columbia had its first FTC competition in five years! After hosting FTC info days and several tutorial workshops, we helped start seven rookie teams in our area. In February 2017, every team brought amazing robots to the BC tournament! We plan to grow BC’s FTC community even further (there are 15 BC teams for the Relic Recovery season). Rover Ruckus is our 10th season in FTC and we can’t wait to see all the different approaches teams have to getting on and off the Lander. You can follow us on our blog or on Twitter, and find us on YouTube and GitHub.